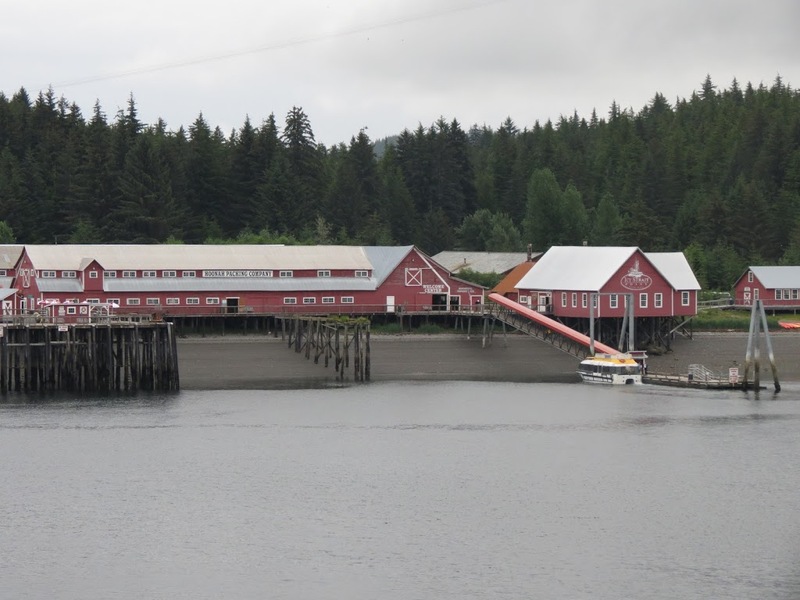 Icy Strait Point at Hoonah, Alaska was our second port of call and the only tender port of the cruise. We had a whale watching trip booked so, after an early breakfast, we went to the Aurora Theater to wait for our tender group to be called. The ship was anchored close to shore and, once we were called, it was a quick boat ride to the dock. Our whale watching boat was waiting right on the other side of the dock just a few steps away so we were soon on board and underway. This excursion was a little disappointing for us. We only saw a few whales and none were very close to the boat. 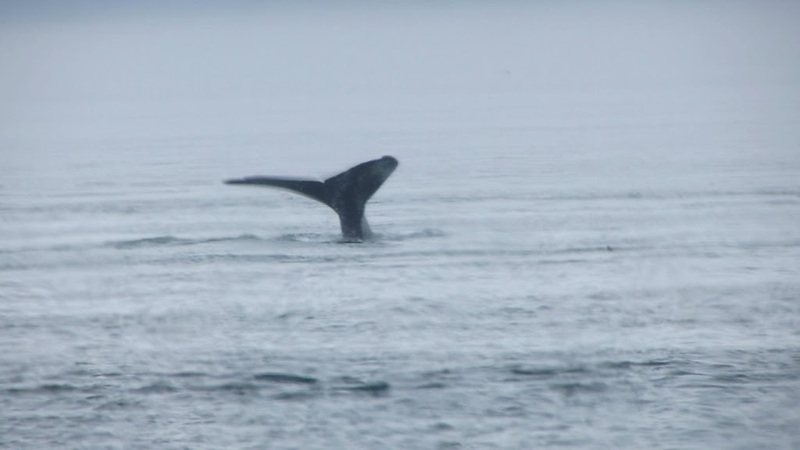 We did get to see a couple orcas, which we hadn’t seen before, but they too were far away. 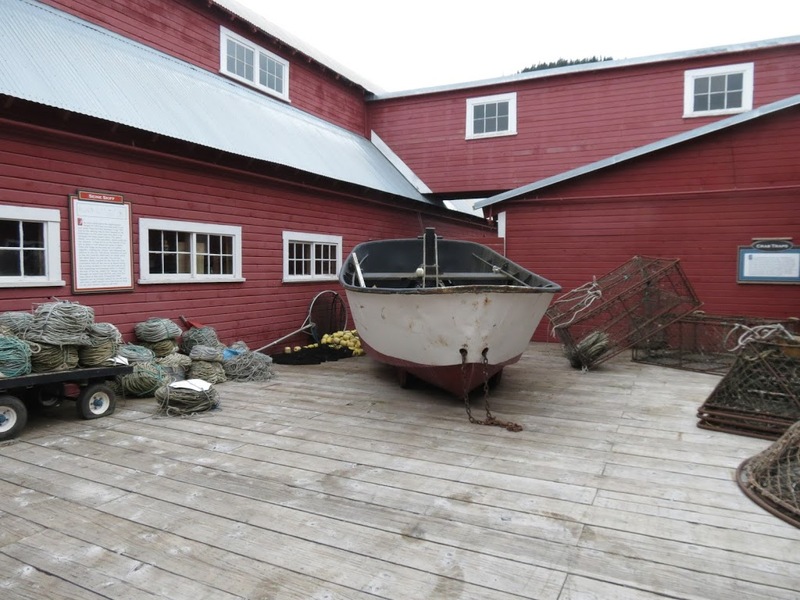 At the end of the trip, we learned that this boat and crew were new to Icy Strait. 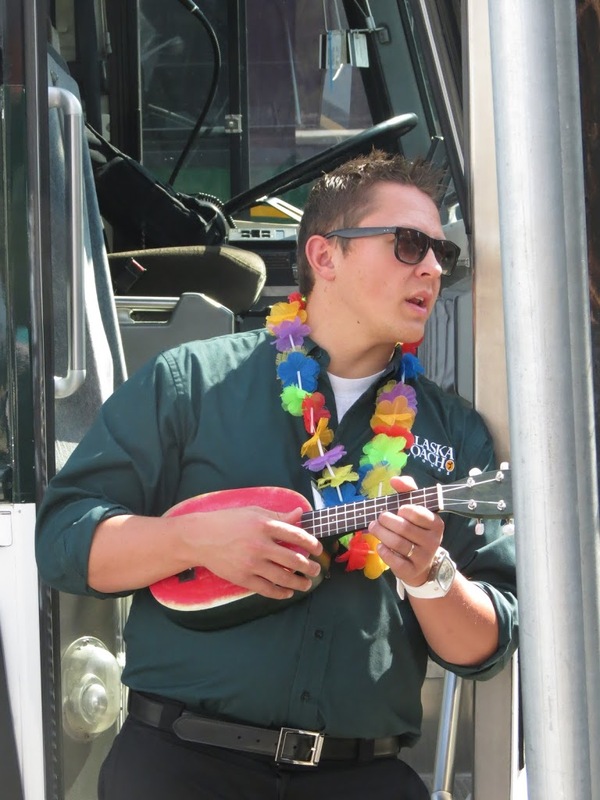 It seems likely, they just didn’t know were to look for the animals. 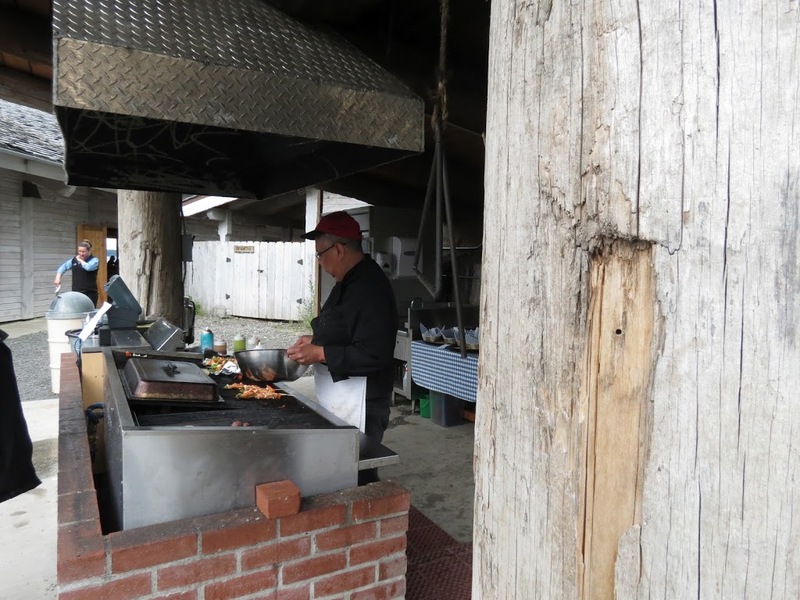 Back on shore, we walked down the beach to the Landing Zone Restaurant and had fresh grilled salmon for lunch as we watched people coming down the zipline that is located there. The more we watched, the more interested Georgia got in trying it. We walked back to the ticket office but the zipline was sold out for the day so we couldn’t do it. Next time! 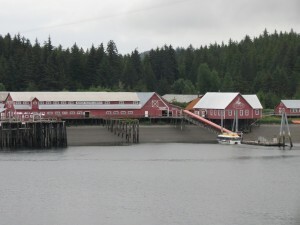 Icy Strait Point is an old cannery building that has been converted to shops and museum exhibits. We had to be content with shopping and looking over the displays until it was time to board a tender and go back to the Radiance of the Seas. 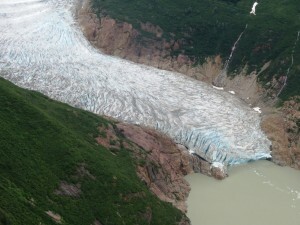 The only excursion we had planned for Juneau was a float plane flight over some of the area glaciers. 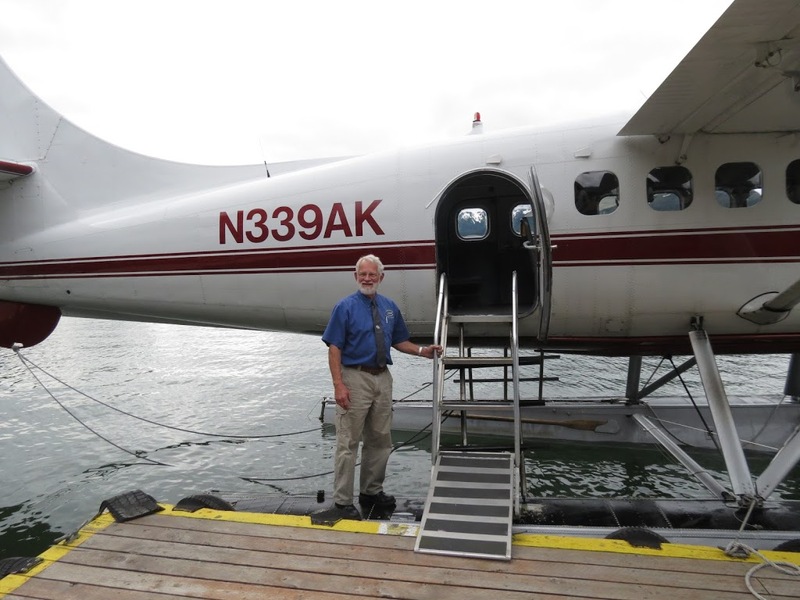 Once on the pier, a short van ride took us to the Wings Airways dock where we were divided into groups and sent down the ramp to our waiting Otter aircraft. We taxied out into the harbor and took off past the docked cruise ships. We were quickly out of sight of Juneau and flying through beautiful mountains and fjords on our way to the edge of the Juneau Icefield. The first of the glaciers flowing out of the icefield came into view. From our vantage point overhead we could look down at the jagged surface and into the deep blue ice crevasses. Pieces of ice calving off the tidewater glaciers streamed down the fjords. 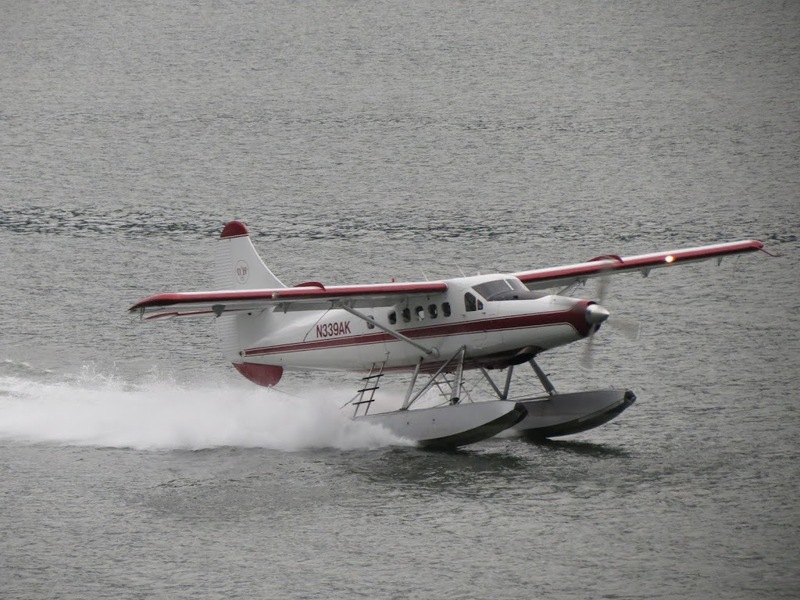 All too soon is was time for us to return to Juneau and a water landing along side our ship. Then we climbed back up the ramp of the float plane dock and back to pier. 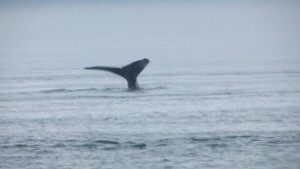 Unlike the disappointment of the previous day’s whale watching, this excursion was even better than we had hoped for. The views were just amazing. It was just lunch time and the ship would not sail until 8 pm so we bought tickets for the Mount Roberts Tramway and rode it to the top. 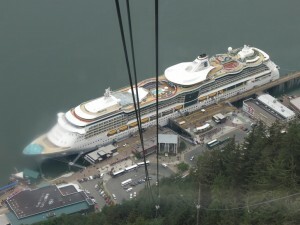 Once there, we ate at the Timberline Bar and Grill then got some great pictures of Juneau and our ship from the observation area. Mount Roberts is also home to the Juneau Raptor Center which cares for injured and orphaned birds of prey. 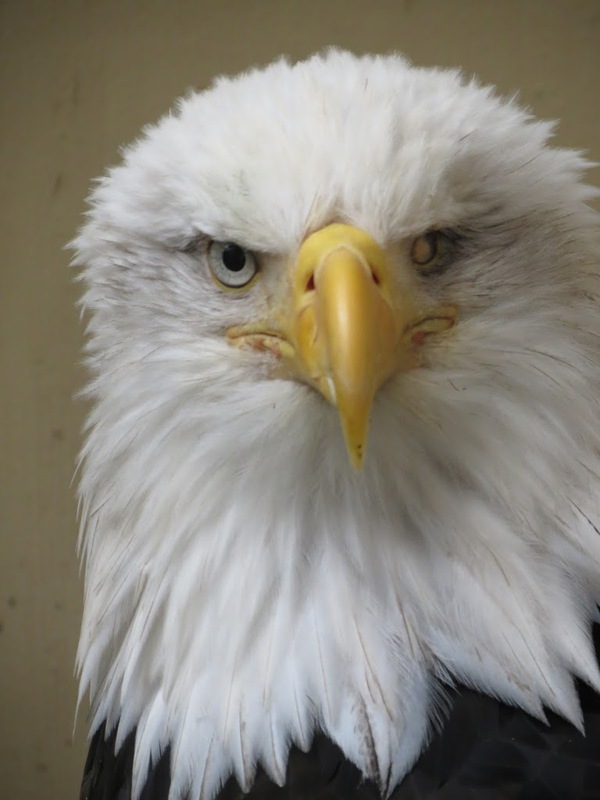 There we visited Lady Baltimore, an adult bald eagle who is blind in one eye. She was found in 2006 after being shot in the beak and right wing. Because of her injuries, Lady Baltimore can not be released back into the wild and is a permanent resident of the Raptor Center. 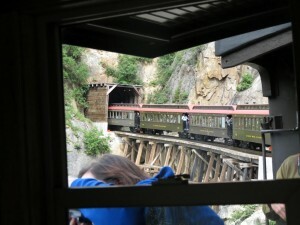 We took the tram back down then looked for other activities we could do that afternoon. Georgia remembered Mendenhall Glacier from our last Alaska trip and wanted to see it again, We bought a city and glacier tour from a booth on the pier and set off yet again. 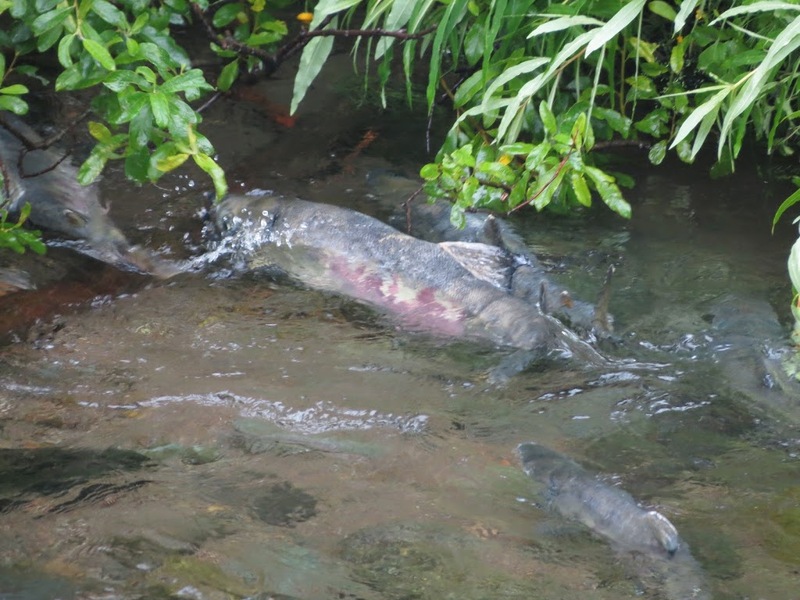 We toured the downtown area of the city then made a stop at a creek where spawning chum salmon were making their way upstream. 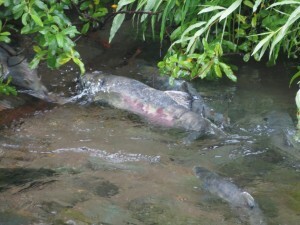 These were the first spawning fish we had seen during the cruise and this creek was full of them. 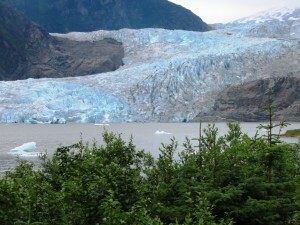 We continued on out of town to the Mendenhall Glacier Visitors Center. The glacier is receding at about 60 feet per year so it actually further back than when we saw it 6 years ago. Some of the rocky areas on both the left and right sides in this picture were much more covered by ice back then. Sadly, this view of Mendenhall wont be here much longer. 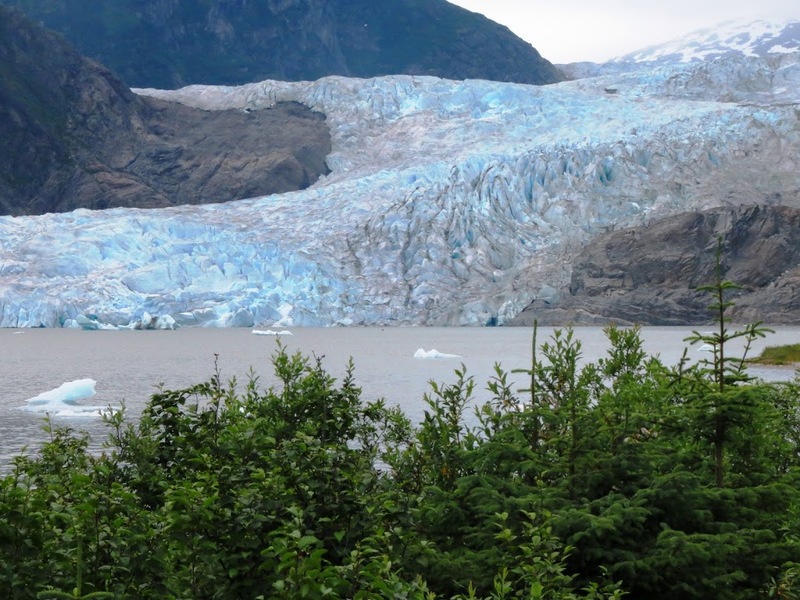 Estimates are that it will recede out Mendenhall Lake within the next 10 to 15 years. We walked around the park area for another hour then got on the tour bus for the trip back to town and the ship. 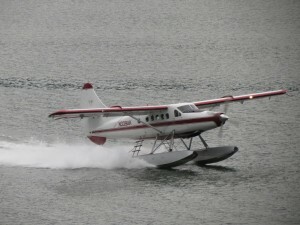 It had been a long day in Juneau and we saw a lot. This was going to be another very full day of sightseeing for us. 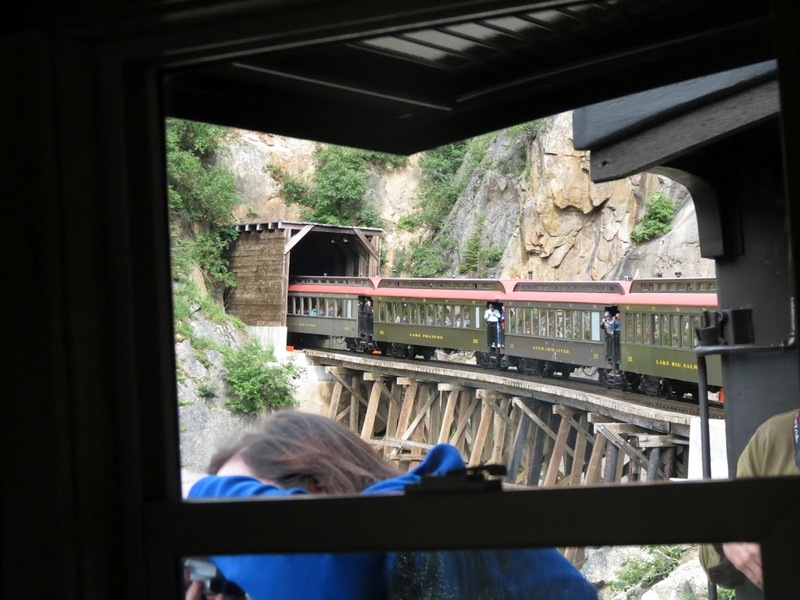 We booked the Skagway Extravaganza which was a full day tour including a bus ride to Fraser, British Columbia, A ride back to Skagway on the White Pass and Yukon Railway, a salmon bake and entertainment at Liarsville and then a stop at the Red Onion Saloon before ending up back at the pier. 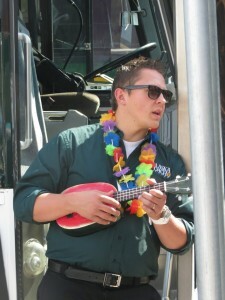 Our driver Davey was waiting for us when we got off the ship and would be looking after us for the day. 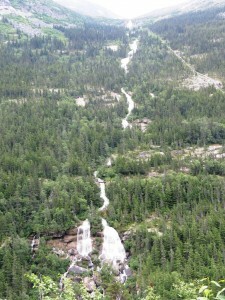 We headed out of town and up the South Klondike Highway toward Canada. 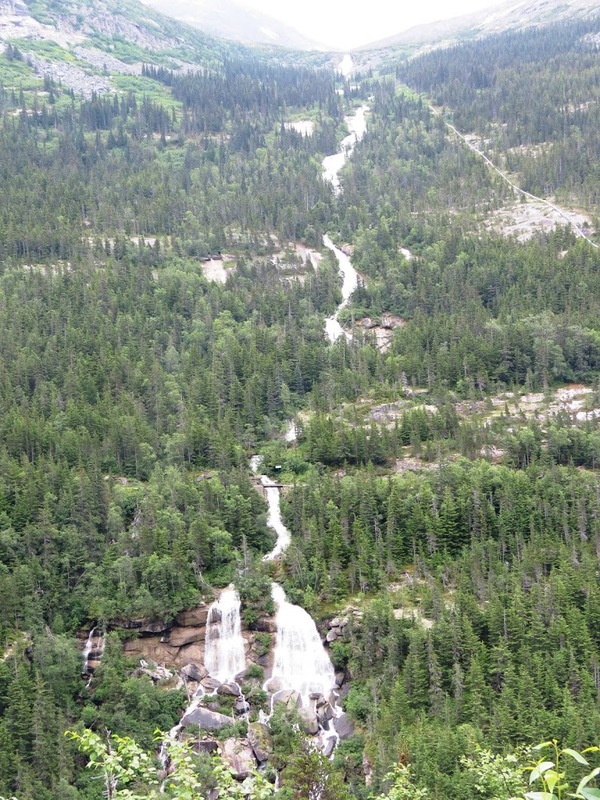 The views along the road are spectacular with numerous waterfalls and snow capped mountains. 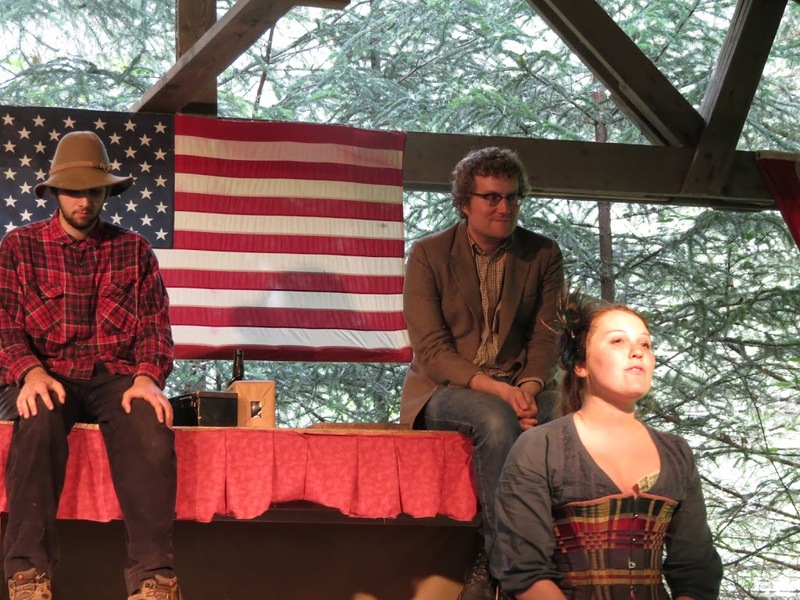 For much of the drive, the road parallels the railroad we would be taking back. The perspective is different though so it was good to have both experiences. We had a little delay at the Canadian boarder as a long line of tour buses and RVs went through the checkpoint. 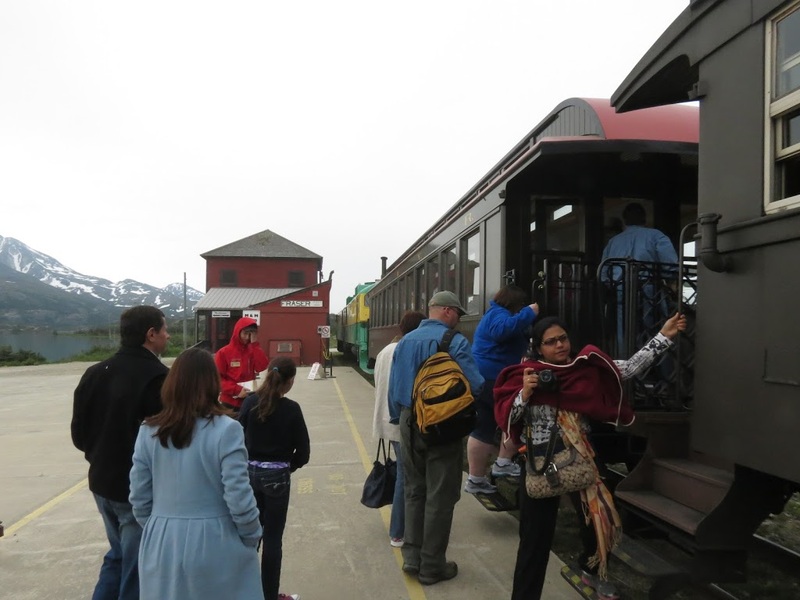 We showed our passports to the agent who came on the bus then pulled over to the Fraser station to board the train back to Skagway. The train ride takes longer than the bus trip up but is a great way to see the White Pass. Much of this route is the same as the gold prospectors used to get through the pass in the 1890’s and parts of the old trail are still visible along the way. Davey met us at the station in Skagway and drove us from there to Liarsville where we ate more salmon, panned for gold and were entertained by the troop of performers. Liarsville was the most “touristy” stop on the whole cruise but fun to visit. 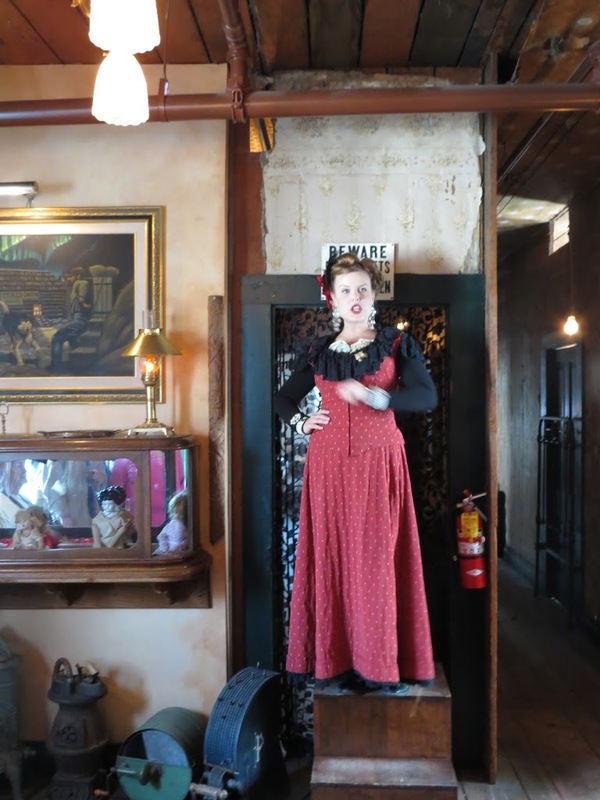 The last stop of the day was at the Red Onion Saloon where we were greeted by the “madam” and given a look at the upstairs, where the ladies of the evening once plied their trade. From the Red Onion, Davey dropped us back at the pier. On the ship, it was the second formal night of the cruise. Again we dressed up and got some portraits taken before dinner. Later we took in another show and spent a little time in the casino. Tomorrow would be our last full day on the ship.